LSE LIFE offers departments and programmes the support and space to run events that enhance the student experience. Academic Developer Jenny Stowar’s post explains what happened when new Accounting undergraduates attended a welcome session in LSE LIFE, aimed at welcoming students to the department and at helping students to meet and work together from the very beginning of their time at LSE. On Saturday 30th September LSE LIFE hosted an ‘Accounting First Steps Saturday’ for the new intake of undergraduates. Previously, Accounting have regularly run successful away days for their new Master’s students, but this was the first time a similar session was offered to the new undergraduates. The day originated primarily as a result of the increasing recognition that one of the most difficult things students face in their first weeks is meeting new people and making friends, and that undergraduates, particularly in Accounting, struggle with this. 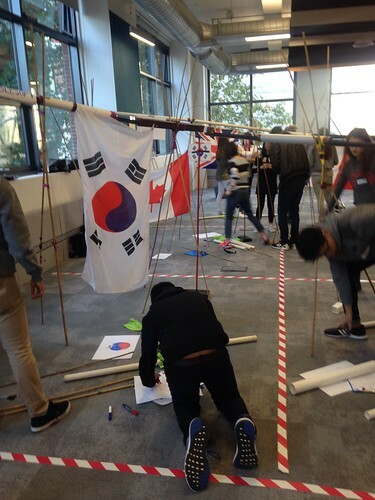 A series of team building activities were interspersed with other sessions led by LSE LIFE and an introductory talk from Careers, with the aim of encouraging the students to have fun and interact in a different way before they formally entered the classroom. Over the past year LSE LIFE has been working with a number of departments to enable more group/collaborative activities. Activities which support students’ social learning and collaboration can be extremely fertile later on when students are placed into group work situations as part of their assessments. In Accounting, a key part of assessments in one second year module is based around group work. A difficult part of the process had often been that many of these students, despite spending the last academic year together had not worked together, or in many cases even spoken. This obviously created problems during the group work assessment as the students were asked to work with other students who were relative strangers. The intention is through interventions such as the First Steps Saturday, this group of students, unlike previous cohorts, will be better prepared, more sociable, and able to collaborate more effectively. One of the advantages for departments of running events like this in LSE LIFE is the flexibility of our learning spaces. 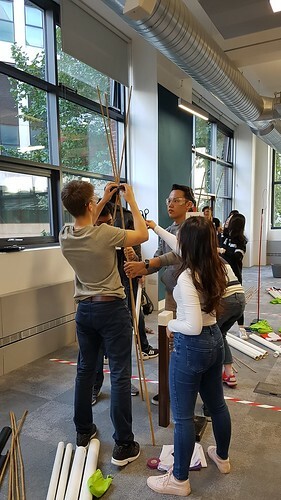 This was showcased through the main event of the day which transformed LSE LIFE Workspace 4 from the usual open plan study space into a giant marble run co-ordinated by the external company Eventus. 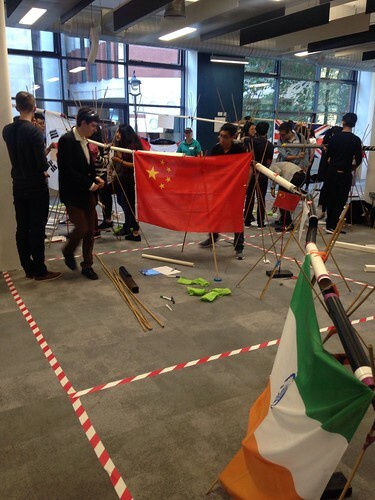 The marble run activity involved students separating into countries with the aim that four countries in each block join their runs together and create one large marble run, competing against the other blocks. The marble run gave the first year students an excellent opportunity to work in both bigger and smaller groups in a fun and united way. Members of staff from Accounting also joined in to add to the collaborative spirit. LSE LIFE‘s input on the day focused on sessions that were designed to complement the team building activities. In the morning students listened to a short talk on transitioning from school to university. In the afternoon, there was a treasure hunt, offering the students another opportunity to work together in a small group. A significant message of the day was to support the process of the students ultimately forming their own study groups to support their continued learning outside the classroom. 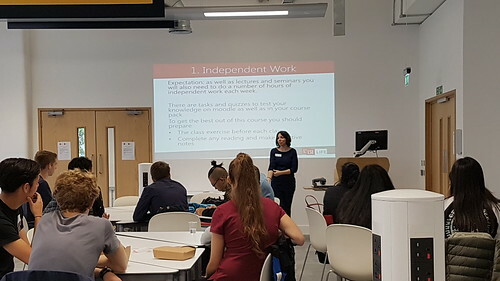 The day ended with another session from LSE LIFE on the complexities of how to form and manage your own study groups, designed to summarise and consolidate many of the skills and experiences the students had developed during the day. With the new-found skills the students who took part have gained, the hope is they will now have the confidence to form their own study groups independent of prescribed group work. Through creating their own study groups the students will hopefully build a stronger, more collaborative community across their year group. 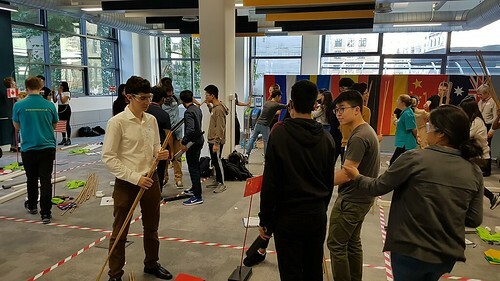 The team building sessions were a great success, with the marble run activity allowing for a lively energetic interaction, and the afternoon treasure hunt allowing students to again collaborate but in a smaller, more focused group. 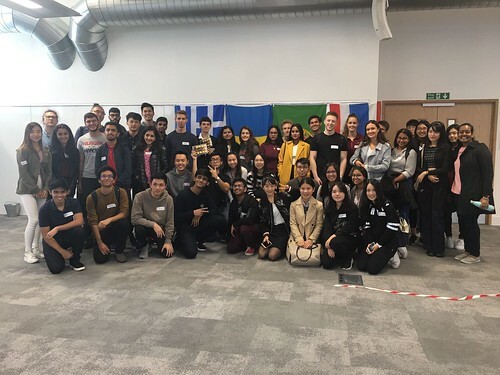 “For a first time event I think it ran very well and we will be thinking of how we wish to manage it next year […] I think it was very useful for new students and we would like to encourage more of them to become involved”.